Which is the better experience? Eating or smoking your cannabis? “Better” is in the mind of the user, but the experiences are clearly different. They’ll both get you high in different ways, and there is no reason you cannot do both. Old school stoners have trouble getting past smoking. They might vary their strains or smoking technology, but they generally lack interest in edibles. On the other hand, an increasing number of consumers opt for edibles because they serve their medical needs and/or because they don’t like to smoke in principle. It’s certainly easier to smoke than it is to prepare a recipe, but there are at least five bigger differences between eating and smoking cannabis. Your body and brain process cannabis differently when you smoke and when you eat. When you smoke marijuana, the chemical compounds are absorbed through the lungs to the bloodstream. The psychoactive THC expands the blood vessels and increases the blood pressure rushing the effects to the brain. Edibles, on the other hand, take longer to process in the liver tempting users to unwisely increase the dose. The liver processes the THC into 11-hydroxy-THC which produces a much more intense high, and this complicates the dosing, too. Depending on the individual’s physical constitution, the smoked grass hits sooner while the edible takes from 30-minutes to two hours to hit and lasts much longer, a subtler stable high. Compared to the inhaled cannabis, edibles deliver a smaller concentration of cannabinoids to the user’s neuro-chemistry thus delaying the effects. Inhaled cannabis produces a quick buzz, and with experience, users come to know what they want in terms of an effect. They can raise or lower the dose to suit their taste for high. At the same time, they run the risk of reaching a level of tolerance where they want something more or something different. And, there are enough strains out there to vary the palate. Commercially available edibles should have the dosage on the label. That helps you understand what works best for you. But, because the effect takes longer, you must avoid doubling up on the dosage to trigger the high. It is not hard to overdose on edibles. In homemade edibles, you must follow instructions on the cannabis ingredient. Recipes that include chocolate, fruit, and other flavors may hide the hashish, diesel, and skunk flavors. But, that should not tempt you to increase the quantity of grass. 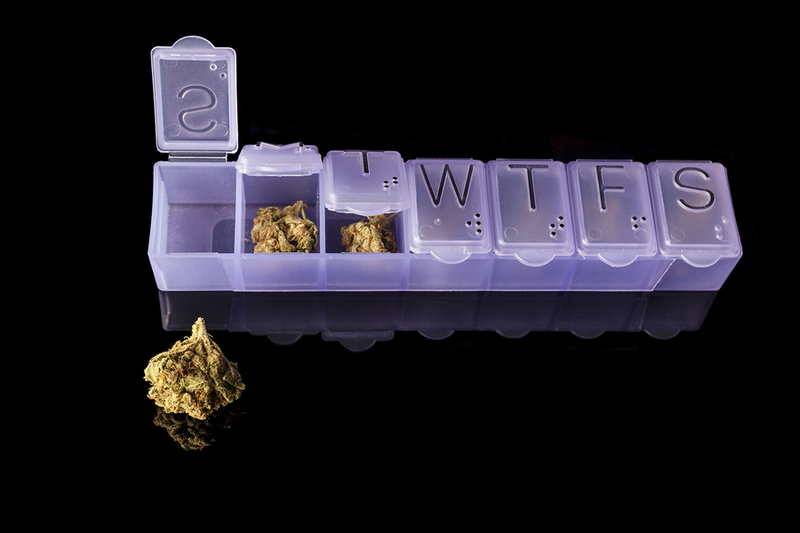 The wide variety of edibles – from candies to bake goods – lets you consume your ganja casually and discretely during the day and in environments where the prohibit smoking. The cost of cannabis has a leveling influence on smokers. They are likely to smoke with others, but they are also likely to limit their reputation because the grass doesn’t come cheap. Like it or not, they are aware of the cost of each joint they burn. Edibles offer a different temptation. They taste so good, and who wants just one brownie or one piece of candy? So, users must stay aware of what they are doing with repeated use. If a candy is correctly labeled as having 10 milligrams of cannabis, you shouldn’t be popping one after another in your mouth. Experienced consumers recommend starting small and being patient. If 10 milligrams are a standard norm, you can portion foods with larger doses. Trouble is that once you prepare a recipe, it is not clear what the potency is or where it lies. In many cases, commercially sold edibles come in small packages of five or ten pieces, a caution not to indulge too much too soon. Edibles do not provide or cause you the harsh sensation and effects of smoking. There is no cough, no smoke-related aftertaste, or potential damage to the lungs, tongue, or gums. They are, therefore, a preferred option for those with asthma, allergies, or respiratory problems. Edibles come in many forms besides the proverbial brownies. In addition to the candies, lozenges, and beverages, cannabis can be a core ingredient in soups, breads, pastries, and more. Cannabis butters, oils, and grains can supplement granola, salads, and smoothies. This is a great solace to medical patients who may have difficulty with appetite, nausea, or swallowing. The longer lasting effect is a great help to those suffering from chronic pain, problems related to AIDS and following chemotherapy, and autoimmune conditions like arthritis, Lupus, and Chron’s disease. There are clear differences between eating and smoking cannabis. When smoking, you will feel the highest THC hit in brain and body in 15 to 30 minutes, and it will slack off over the next two hours. When consuming cannabis edibles, you won’t feel that high in the brain as much as body for up to two to four hours, but it will last up to eight. You will more likely cough after smoking, but you are more likely to mistake the dosage in edibles. So, moderation is recommended whether inhaling or ingesting.